The Tour of Kansas City is once again part of the USA Cycling’s Road Development Race Series. As part of the development series, The Tour of Kansas City will serve as an automatic qualifier for USA Cycling Regional Talent ID Camps. Junior racers will compete for series medals and a chance to participate in one of the regional camps. Top-performers at the regional camps will be considered for an invitation to an annual USA Cycling National Talent Identification Camp. The focus of USA Cycling’s Regional Talent ID Camps is skill development along with classroom sessions geared to improving the rider’s training. Camp staff usually includes a camp manager, a lead coach, assistant coaches, athlete alumnus, a mechanic, and ride leaders. Each USA Cycling Regional Road Camp includes five days of activities, including field testing and other selection activities. 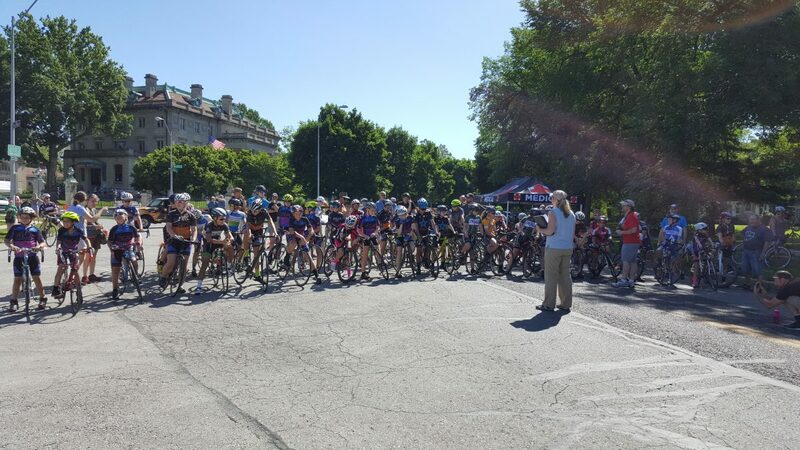 Each race in the Midwest Flyover Series is part of the Road Development Race Series, providing many opportunities for junior racers to qualify for the regional talent ID camps. TKC is working on keeping costs as low as possible for junior participants to help remove barriers to youth participation. Reduced junior entry fees will help allow youth participants to participate in the race without breaking the bank and reduced cost host housing through Park University offers a significant savings on travel costs.